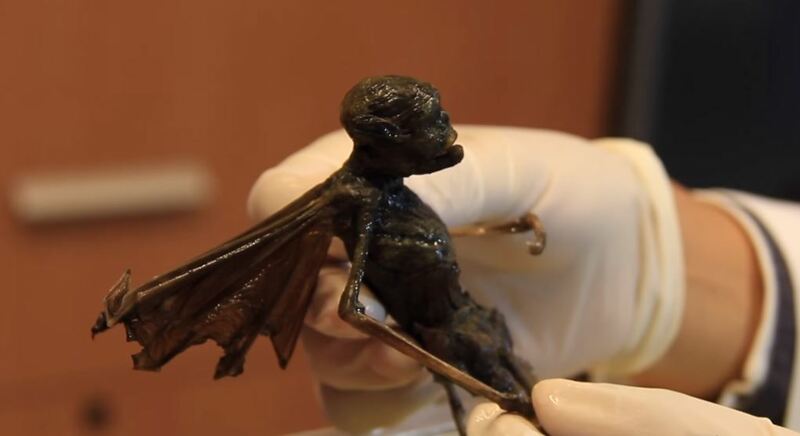 Researchers have performed several tests on the mystery Fairy-like creature and the so-called Metepec Hybrid revealing fascinating results. The DNA sequence was made from five different molecular biology laboratories in several parts of the world. It turns out that both the Mitochondrial DNA and the Nuclear DNA show not matches to other known species on Earth. Please bear with us and read the entire article before going all: Guns out. Claiming its a hoax. Remember to take everything into consideration and check out the video. It seems that after all, sometimes the truth is far stranger than fiction. Richard Shaw and L.A. Marzulli travelled to Mexico where they met with one of the most prominent Latinamerican UFO Researchers, Mr. Jaime Maussan. Once they met, Mr. Mausan revealed to them a mind-blowing creature that oddly resembles a FAIRY. According to Shaw and Marzulli, they have waited for several years in order to explain the findings to the world. Now, finally, in a new episode in Watchers 10, they reveal the fascinating results of what they believe is a ‘real creature’ that according to many will change history forever. Simply put you’d have to see the creature in order to believe it. 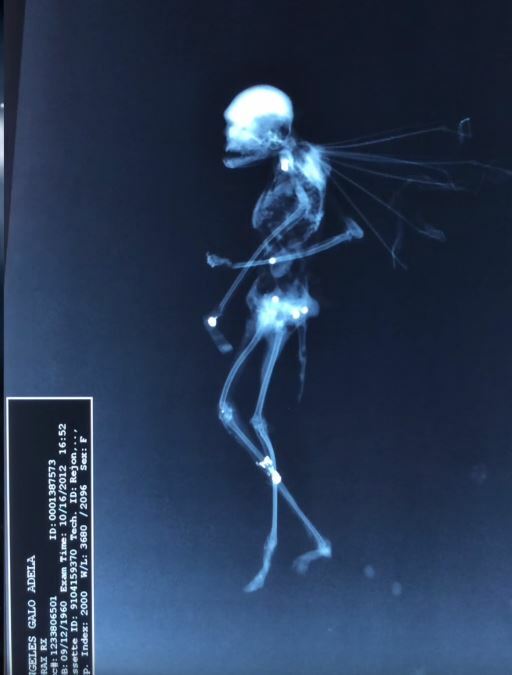 While many believe this is just another hoax presented on the internet, x-ray scans and DNA results show a staggering truth behind a mystery creature that could very well be a so-called fairy. 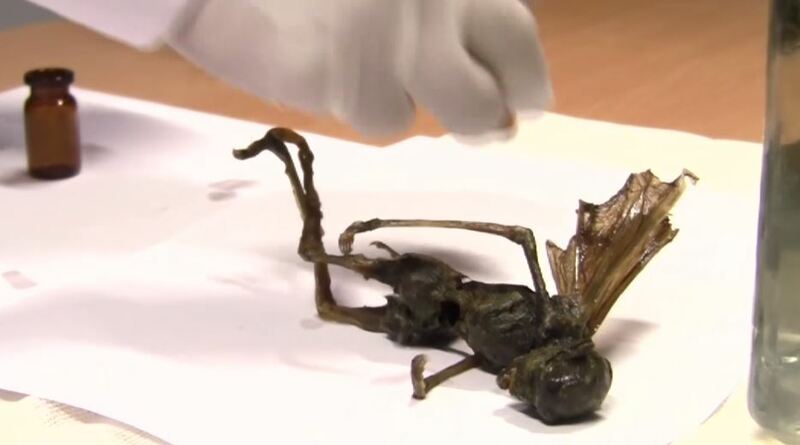 According to researcher Ricardo Rangel Ph.D. who performed DNA testing on this mystery creature and the so-called Metepec Creature: The DNA sequence was made from five different molecular biology laboratories in several parts of the world. The common results show that the DNA is very similar do the DNA of a human with a staggering 98.5 %. It turns out that both the Mitochondrial DNA and the Nuclear DNA show not matches to other known species on Earth. According to Mr. Jaime Mausan, the Metepec Creature could very well be a ‘hybrid being’. The other creature –ressembling what we commonly know as a fairy— could also be a hybrid being. „..that’s something imperative because I believe they are experiments (the creatures), what kind of experiments, why? I don’t know, but we have a physical body, and we can analyze the physical body and prove that something, intelligence is behind this experiment…“ –Jaime Mausan. Lot’s of controversy about this. Here are some thoughts as of 7/24. Richard Shaw and I believe the creature is real. That’s why we went with it. It has a very complex skeletal structure which is revealed in the X-rays. While we are selling the DVD and book, there are some folks who complain that we’re only in it for the money. How many of these people walk into a Starbucks and expect a free cup of coffee? Why is it then, that we can’t make a living from our work? How much do you think it costs to fly to Mexico, do DNA samples at three different labs, and interview a variety of professionals for every episode in our series. Nothing is for free and if it is you can see what happens when people get free-stuff by looking at the current state of Venezuela. This creature may have supernatural ramifications as we state in the film and the book. In other words, it may point to the entities that we read about in Revelation 9. We are still doing research on the creature. The X-rays are being looked at by a Forensic Pathologist as well as a Radiologist. I had two MD’s look at the X-rays in the last week, and both confirmed that to the best of their professional opinion the creature was real and not a composite. White bigfoot was captured on camera. The best ever video of bigfoot!